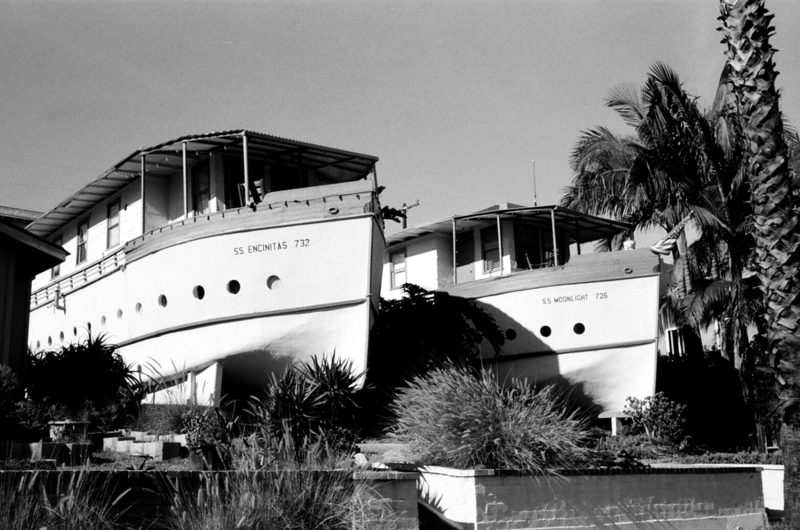 The famous Encinitas Boat Houses. Last weekend I found myself with a few hours and nothing to do so I had this crazy idea to load up the old 35mm camera and see what shooting with film again would be like. 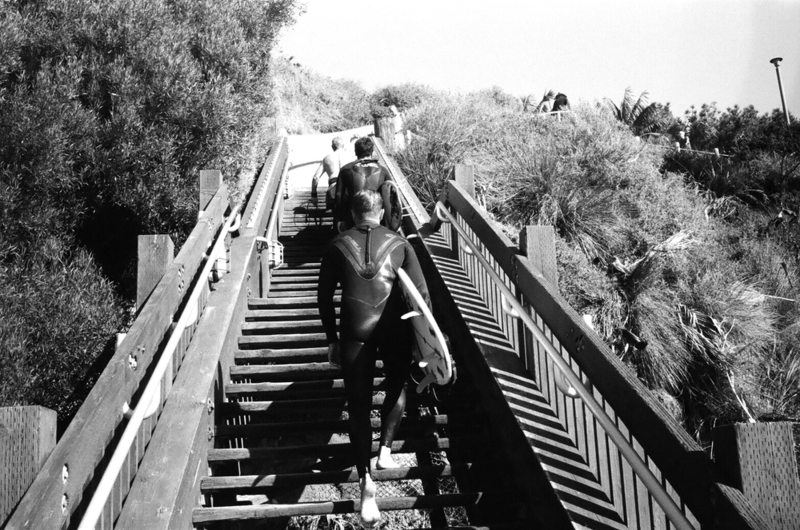 So I got some Tri-X and jumped on the scooter and searched Encinitas for some black and white images to capture. 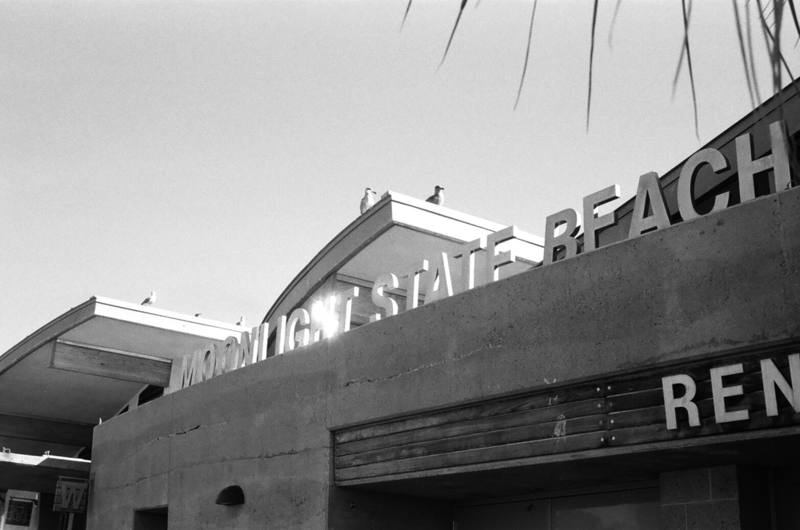 I sort of miss the old concession stand at Moonlight Beach but the new one makes a cool photo. First stop, Moonlight Beach. For you photographer nuts out there (or people nuts enough to still shoot film) most of these photos were shot at 500 sec at f16. 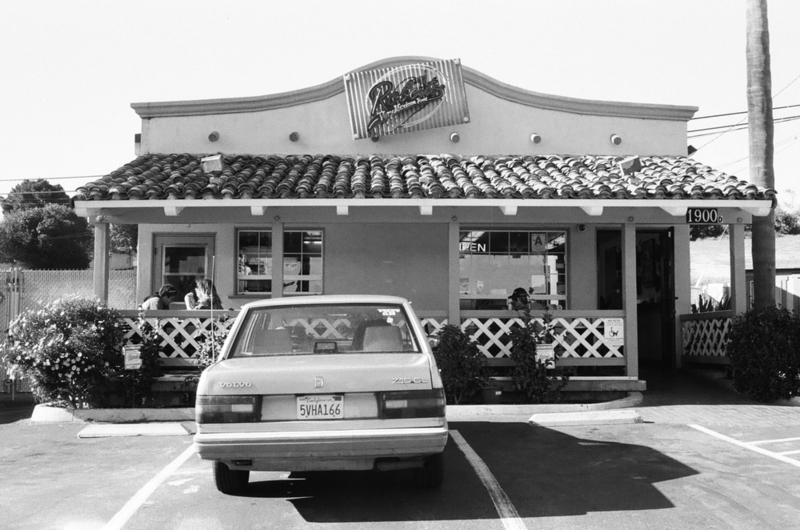 I was pretty much locked into that setting since I was using Tri-X in bright sunlight. With digital I can easily shoot a hundred photos just while eating lunch. With film you get 36 chances to get a shot. I used to shoot a ton of film but after so many years shooting digital this felt really different, slower, perhaps me being a bit more thoughtful about shadows and light and how the image would translate in black and white. Super cool dude who lives in his car. If you see him tell him hello. I met this guy in the Moonlight Beach overlook. 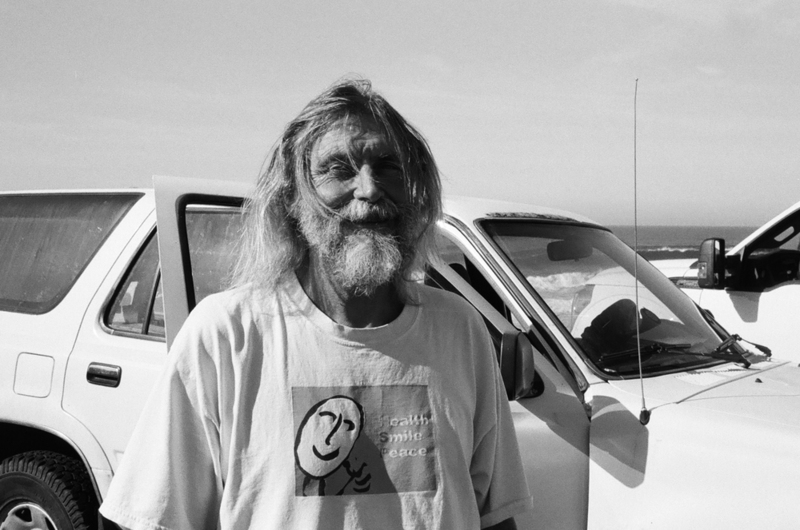 He sleeps in his car and told me his story of having to sell just about everything. I didn't want to insult him by asking if he needed a few bucks but wish I did. He was a cool dude for sure. Looking up from Swami's Beach. I love living by the ocean and appreciate it every day. 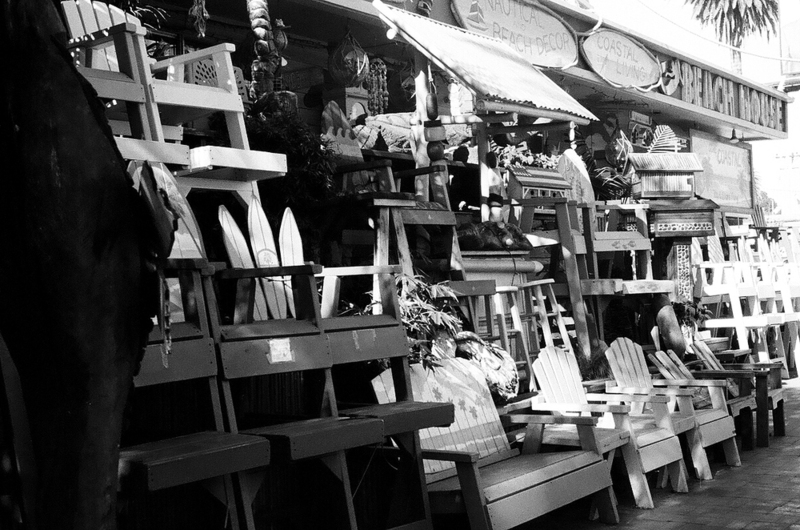 And I love how that Encinitas still has that small town feel, even with all the growth and changes. 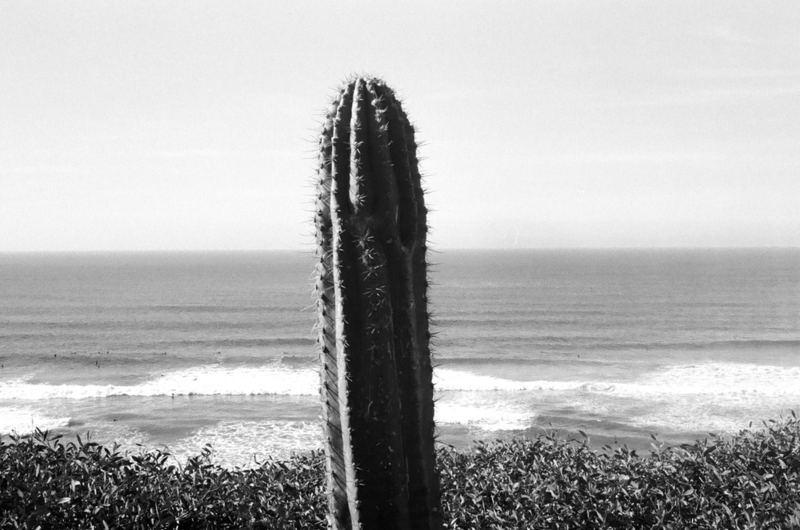 These shots were taken around Swami's Beach. Back on the 101 I headed up towards Leucadia to snap a few shots of the local businesses. Please Leucadia, please stay funky. I think that black thing in the sky is a banner being pulled by an airplane. Or it's a giant speck of dust inside the lens. Had to stop for a California Burrito. Someday all the flower fields will be gone. So 3 hours later I had snapped a roll of 36 and had to patiently wait a week for the negatives to come back. No LCD on the back of the camera and one shot per subject. You either get the shot or you don't. And it was kind of nice. So tell me, did I get the shot?